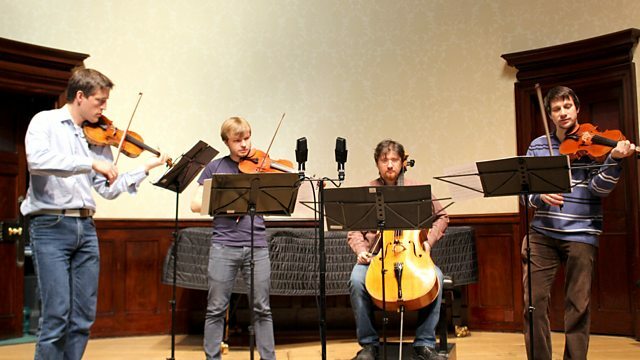 Live from Wigmore Hall, London, Clemency Burton-Hill presents a performance by the Apollon Musagete Quartet. Haydn: String Quartet in D 'The Lark'. Arensky: String Quartet No 2. The Apollon Musagète Quartet couple Haydn's popular 'Lark' Quartet with the quartet that Arensky dedicated to the memory of Tchaikovsky. Anton Arensky, best known today for his D minor Piano Trio, dedicated the second of his two string quartets to the memory of Tchaikovsky and built one of its movements around his late friend's 'Legend' from Children's Songs. Arensky: String Quartet No. 2 in A minor Op. 35. Singer: Kate Royal. Performer: Malcolm Martineau.